After banishing the well established world of Extended Universe (EU) to the status of "legend" with the release of The Force Awakens, many Star Wars fans like myself were skeptical about what good Disney would do with the 40 year old franchise moving forward. 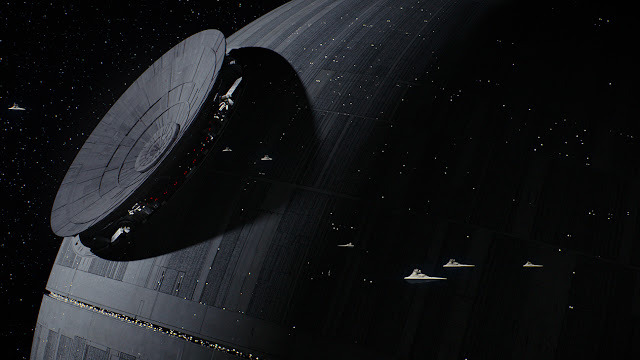 Since the announcement of the Rogue One : A Star Wars Story - in 2015, there have had been many talks about how this first stand-alone Star Wars movie would turn out with a "simple" plot that surrounds the plan of Death Star, involving both a group of unknown rebels and familiar baddies like Stormtroopers and (of course) Darth Vader! Some of the much screamed about by many die-hard fans worldwide include the rumoured reshooting of the movie after the initial script was rewritten and the the lack of the opening crawl that's so iconic to anyone who has had watched a Star Wars movie!! After sitting in for slightly over 2 hours watching Rogue One, my feeling was mixed but fortunately more on the positive side. Here's a disclaimer to all Huneybees who has yet to watch the movie as the follow was considered a spoiler to Rogue One. While, as been told, no opening crawl appeared at the beginning of this new Star Wars movie; what replaced that iconic moment was a good 15 minutes long of planet-hoping by the director to set the story before the yellow Rogue One title appeared to much cheers from the audience. The early introduction of the new black Stormtroopers also known as Death Troopers added some freshness to the predictable plot of stealing the plan of the new ultimate Imperial weapon, The Death Star. 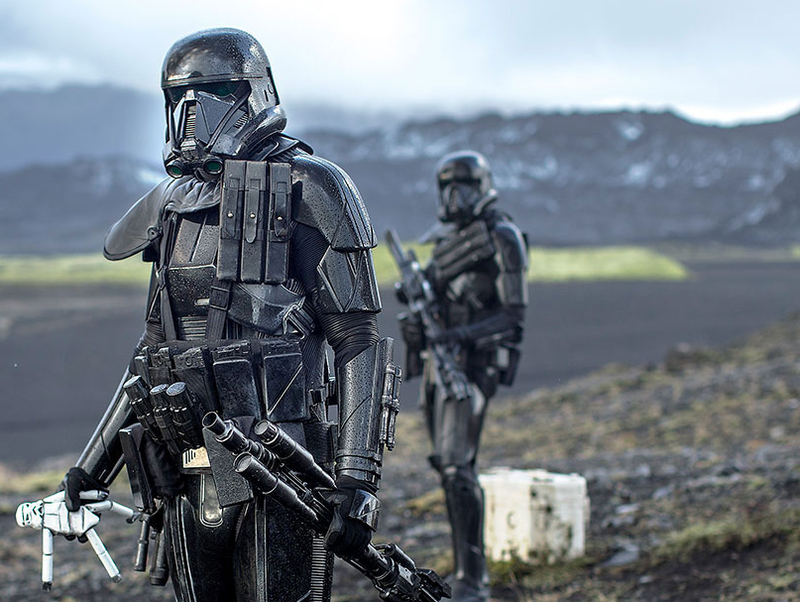 Seem to be the personal troopers for Orson Krennic, the main villian in this standalone Star Wars movie, these Death Troopers moved tactically and shoot a lot better than the standard white Stormtroopers. Mainly deployed at the will of Orson for his bidding including the killing of the suspected scientists for leaking the plan, the whole company perished with the villain when the planet Scarif was eventually destroyed by Death Star. That explained why we didn't see them in the original "classic" Star Wars Trilogy. The appearance of the more familiar Imperial Officer, Grand Moff Tarkin, in Rogue One was not entirely a surprise considering he was the commander of the Death Star in A New Hope. What was impressive was the CGI used to recreate this on screen character whose real actor (Peter Cushing) passed away in 1994. Unfortunately this could not be said for the one minute appearance of a young Princess Leia, who appeared before the end of the show, as a link to Episode IV, A New Hope. While we only have Lando Calrissian in the original "classic" Star Wars Trilogy and Mace Windu (played by Samuel L Jackson) in the prequel Star Wars Trilogy of Episode I, II & III, it is heartening to see more inclusion in terms of non-Caucasian actors representing human race in new Star Wars movies. In Rogue One, we have seen not one but four of them in the form of Baze Malbus (played by Jiang Wen), Chirrut Imwe (played by Donnie Yen), Saw Gerrera (played by Forest Whitaker) and Bodhi Rook (played by Riz Ahmed)! 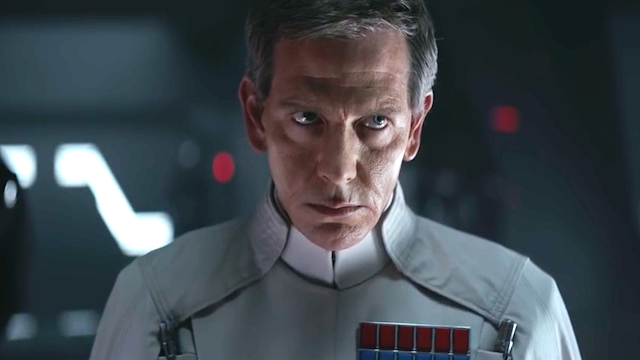 All characters in Rogue One were rather flat except for lead Rebel character Jyn Erso (played by Felicity Jones) and Imperial Director Orson Krennic (played by Ben Mendelsohn). I would assume that Disney is trying very hard to recreate winning formula used George Lucas by packing in as many familiar actions within the two hours with battles both in the outer space above planet Scarif as well as on its ground that resemble the great battle of Endor in Return of the Jedi. The other theory I could think of is because these are one-off characters who will not be reused in the future Star Wars movies, so there's no need for any further character development. For me, the real excitement of Rouge One was when Darth Vader boarded the Rebel Capital Ship with his infamous lightsaber and start killing every Rebel Soldiers in sight, in bid to get to the stolen plan of Death Star copied to a disc that the rebel has just received from the ground of planet Scarif. This scene is a remake of the starting scene of A New Hope that Rogue One is trying to patch in term of plot and I must admit it was a job well done! 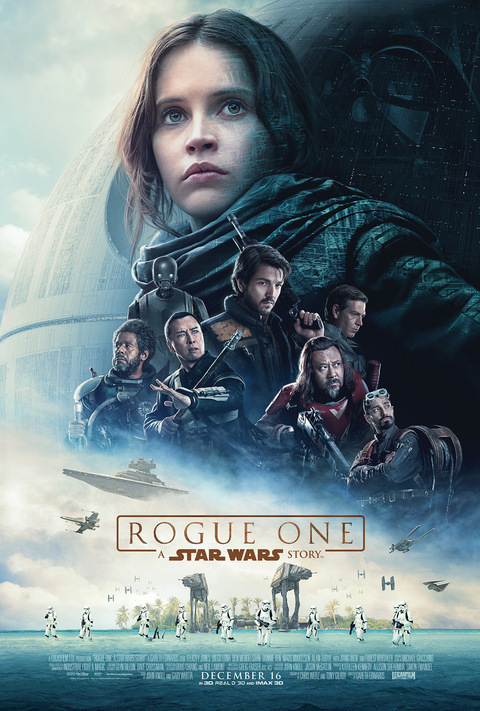 While the absent of Jedi knight created a vacuum in this standalone Star Wars movie where "The Force" have been mentioned numerous times throughout, overall, Star Wars Rogue One was a success that Disney has gambled and paid off. May the Force be with us for many generation to come!